With Android device, you can view your user-visible files. With My Files feature, AnyTrans for Android presents an intuitive layout of these files on your Android device. 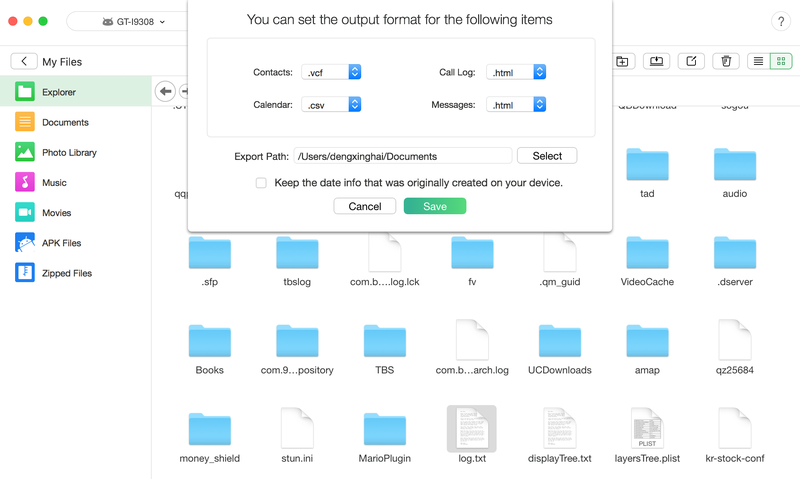 You can import files to your Android device, export files to computer and edit these files as you need. Please refer to the detailed guide to make good use of AnyTrans. Please make sure you have enabled USB debugging on your Android device. By default, AnyTrans for Android will detect your Android device automatically. 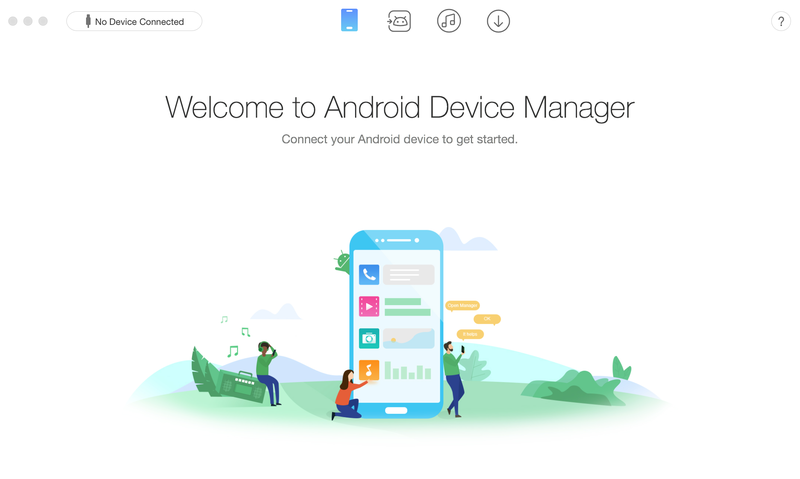 If you don’t connect your Android device to computer or your Android device is not recognized, you will see the interface below. Once your Android device is recognized, the interface below will display. If AnyTrans for Android fails to recognize your Android device, you can try to fix this issue by the following troubleshooting steps to solve this problem. After entering My Files Management page, you will see the interface as below, please select the files you want to transfer based on your needs. Before transferring files to your computer, please set the export path by clicking the button. 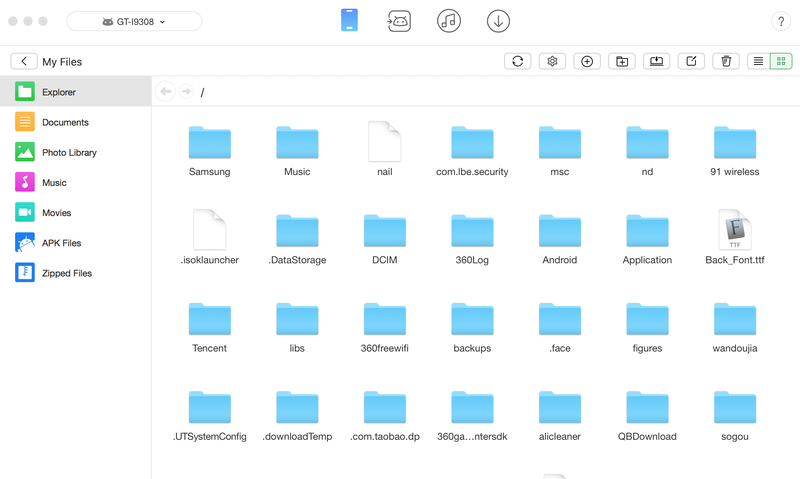 Except for transferring folders or files to computer, you can also add files/folders from computer to the Android devices by clicking button. And you can delete unwanted folders/files by clicking button. 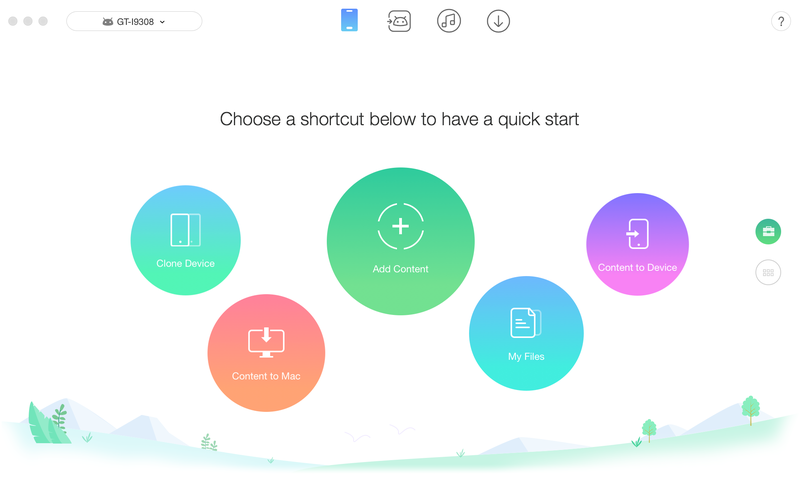 To rename the files or folders, please click button. With button, you are able to change the preview mode. If AnyTrans for Android doesn't load your files correctly, please refresh the page by clicking button. 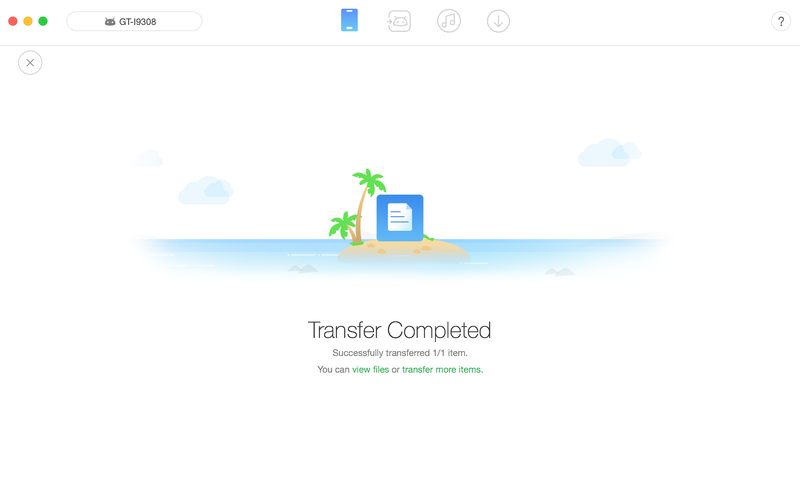 Once the transferring process is completed, you will see “ Transfer Completed” Page. To locate the transferred files, please click “view files” option. To go back to the previous page, please click “transfer more items” option or button.